The Asus Zenfone 5 is one of the best and first smartphones sporting a notch released to date. The Taiwanese company announced the phone back at the MWC 2018 event and is likely to bring to several markets including India, China, Taiwan etc. 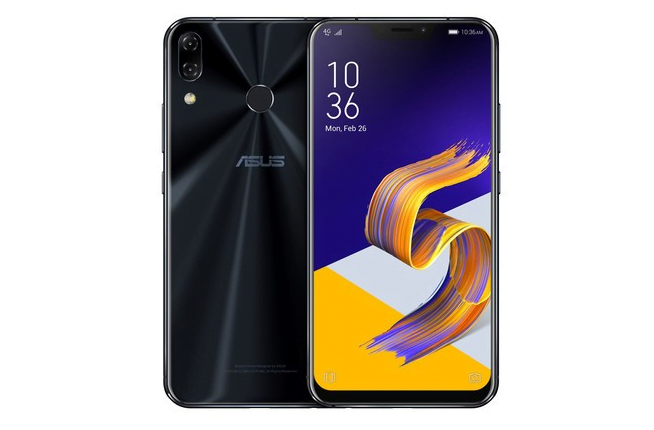 Asus has already set a launch event in Taiwan and China tomorrow, but before the official launch, the price of the Zenfone 5 has surfaced online. As per the leak from MyDrivers, the Zenfone 5 will retail for NT$11,990, which converts to 2600 Yuan (approx. Rs 26,000). And that’s a steep price for a smartphone packing Snapdragon 636 chipset because, in China, Xiaomi already launched the Redmi Note 5 with the same chipset at almost 50% lower price than the rumoured price of the Zenfone 5. And recently, Meizu also launched the Meizu E3 smartphone with the same chipset for around 1699 Yuan. This new price leak is in-line with the previous price leaks, and it’s also on-par with Asus’ pricing strategy in recent years. But we should not forget the fact that the Asus Zenfone 5 is one of the best-looking Asus devices we have seen in a long time. The Zenfone 5 sports a 6.2-inch IPS LCD display with a notch on top. The notch presence means that the device has 19:9 aspect ratio carrying a resolution of 2246 x 1080 pixels. Internally, Asus powered the device with the power-efficient Qualcomm Snapdragon 636 SoC, coupled with up to 6GB of RAM and 64GB of internal storage. In Taiwan, the phone is rumoured to launch in 4GB RAM and 6GB RAM options, while in other countries, Asus might launch it in a single 4GB RAM variant, but nothing is confirmed for now. The device packs a dual rear camera setup with one sensor being the Sony IMX363 12MP unit and the other one is a 12MP unit with 120-degree field-of-view. An 8MP selfie shooter is present on the smartphone. The fingerprint scanner is present to the back of the phone, and the Zenfone 5 is one of the gorgeous looking devices out there. The phone has 4G LTE, VoLTE, Wi-Fi 802.11 b/g/n, Bluetooth, GPS and a USB Type-C port. It packs a 3000mAh battery with fast charging support. Asus will ship the device with Android 8.0 Oreo out of the box with Zen UI on top. Asus is also expected to launch the Zenfone 5 in India sometime in May 2018, but the launch date of the device is still a mystery. It will be interesting to see how Asus goes with its pricing in India, but we’re not expected to be priced around Rs 25,000 and all, but it might retail for around Rs 20,000 considering the materials Asus used to build the smartphone. Asus Zenfone 5 (2018) consist of 3300 mAH battery. please correct it in post.